A mediaeval mountain town has become the blueprint for a new kind of hotel, writes Andrew Bain. Daniele Kihlgren's story is one of cement and contradiction. 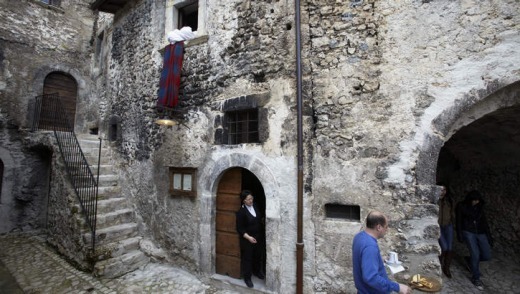 The heir to a cement fortune, the Milan-born son of a Swedish diplomat was motorcycling through the mountains of Abruzzo, Italy, in 1999 when he stumbled upon the mediaeval village of Santo Stefano di Sessanio. Inside a day he had bought a house in the village, and he continued to buy them until he owned a quarter of Santo Stefano, a place once home to 3000 people but which, in 1999, had a population of little more than 100. As the village's major property owner, Kihlgren struck a deal with local authorities. He would invest €4.5 million into restoring Santo Stefano while transforming a large proportion of the village into a unique hotel, Sextantio Albergo Diffuso. In return, a ban was to be placed on all new construction. He was, in effect, saving Santo Stefano while creating a concept he hopes to spread to other villages throughout southern Italy. 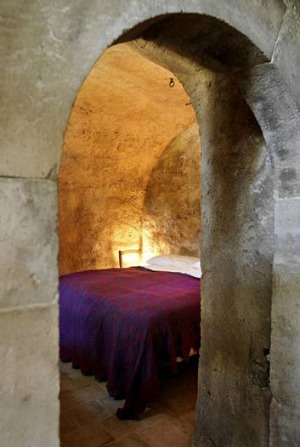 Already there's a sister property among the sassi (cave homes) in Matera, and mayors are queuing up to court Sextantio Albergo Diffuso's founder. Even at a glance it's easy to share Kihlgren's initial excitement at the sight of Santo Stefano. High on the slopes above the Abruzzese capital of L'Aquila, Santo Stefano was founded about the 11th and 12th centuries. Draped across a hilltop, it's unmistakably Italian - think Tuscany or Umbria with a southern address - but with an elegance that's earned it a place as one of Italy's "Borghi piu Belli d'Italia" - the Most Beautiful Villages in Italy. Narrow fields stripe the surrounding valleys, neighbouring villages crown adjacent hilltops and snowy peaks frame the view. As a blueprint for a new style of hotel, Sextantio Albergo Diffuso is exceptional. Its rooms are sprinkled throughout a variety of old homes in the village; Santo Stefano is, in essence, a hotel that's a village, and a village that's a hotel. Kihlgren has branded the idea an "albergo diffuso", or a "scattered hotel". Though far from a traditional hotel, it's dedicated to the traditions of the village. Only local materials - terracotta tiles, limestone, wood - were used in the restoration, and the original character of the rooms was retained, from the uneven floors to the original flaking plasterwork to staircases that would surely fail any occupational health and safety inspection in a modern construction. That so much of the village's mediaeval structure was intact is part of Santo Stefano's story, for it was preserved not by decree but by poverty. Like so many villages in Abruzzo, its residents scattered around the globe in the 20th century in search of better, richer lives. 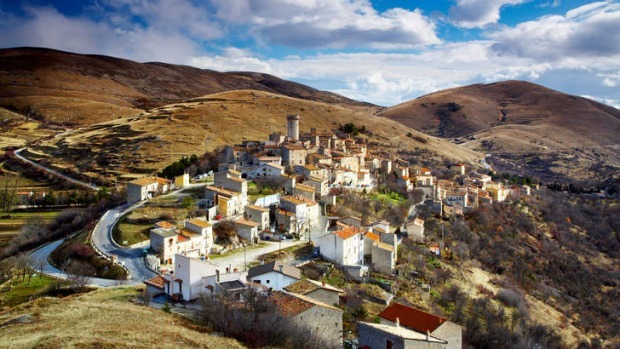 By the time Kihlgren roared into town in 1999, Santo Stefano was just another forgotten Abruzzese village, an abandoned nest of people. Guests at the Sextantio Albergo Diffuso get to feel but not share this poverty. Each of the hotel's 27 rooms is unique but all contain the feeling of past lives and generations. Walls inside the rooms remain blackened by centuries-old smoke, shelves are crevices cut into the 70-centimetre-thick walls, which were built to insulate against the mountain cold, and windows are tiny slits. But there's also simple and spare luxury, much of it deliberately hidden from view. The rooms are warmed by underfloor heating, and lit by remote-sensor lights. Step behind a partition at the head of the bed, and there's a modern bathroom. The bedspreads in every room were made in the village, reviving an old craft. The greatest luxury, however, is the sense of living in, and not just visiting, the village. Santo Stefano remains home to about 100 permanent residents. Walk anywhere and it's like being on permanent passeggiata among the people and dogs that live here. Around the high village, which is 1250 metres above sea level on the slopes of the Apennines, mists close in then draw back like stage curtains, unveiling views of distant snow-lined ridges. A single cobblestone street rings the village, much of which remains propped up by scaffolding following the 2009 earthquake that killed 300 people in L'Aquila and toppled Santo Stefano's central tower. From the street, stairways and lanes coil up through otherwise hidden parts of the village. Follow them and it's like a mediaeval treasure hunt that always tops out at the remains of the tower, which was built by Florence's mighty Medici family. It's a reminder of Santo Stefano's once-important position on a major sheep-trading route. Along the main street, village life runs at its typically unhurried pace. 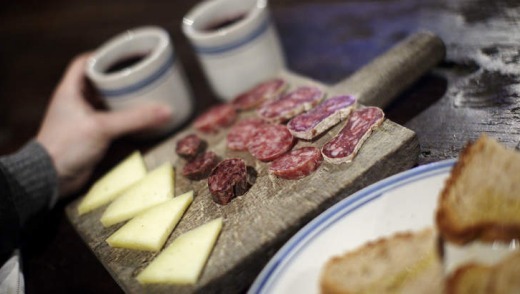 A tiny bar is notched into the ground floor of one building, and a store offers tastings of local cheese, gelato and other produce. There's a small selection of restaurants, including Sextantio Albergo Diffuso's own restaurant, set inside the arches of a former stable. At night the sounds of the village are un-Italian, for there are almost no sounds except for the occasional tread of footsteps on the limestone cobblestones, the bray of a donkey from the valley, or the slap of rain on stone. It's mediaeval and it's modern, and the blend isn't always seamless. In my room, the open shower is a little too open, sending rivulets of water flowing across the floor of the room. One day the remote lighting system malfunctions and none of the lights in my room will switch on; the next day, after repairs, they won't switch off. But do you really come to mediaeval Italy for perfect working order? The writer travelled courtesy of Hedonistic Hiking. Emirates has a fare to Rome for about $1990 low-season return from Melbourne, and $2005 from Sydney, including taxes. Flights go to Dubai (16hr 30min) and then Rome (6hr 40min). Santo Stefano di Sessanio is about two hours' drive inland from Rome. ARPA buses run daily from Rome Tiburtina to Santo Stefano (3hr). See emirates.com; arpaonline.it/arpaonline/en. Sextantio Albergo Diffuso has 27 rooms at a broad range of prices. Classic double rooms begin at €100 ($143); an executive suite is about $717. See sextantio.it. Hedonistic Hiking has a nine-day Wilds of Abruzzo trip ($3720). In 2014, trips will run in May and September-October.